When we think of a beautiful and colorful garden full with flowers, we automatically link this to rays of sunshine. Not every bulb needs the same amount of sun or shade hours. There are some flowers who don’t like to stand in full sun. Instead of sun they rather have a shady spot. Get to know your garden well to decide what kind of flowers you can buy for your garden. A shade garden means that your garden never or barely has sun. The opposite is a sun garden, it means that your garden never or barely has shade. You can call it a full sun garden when you have at least 6 hours per day of sun. Partial sun or shade means that your garden gets 3 to 6 hours a day of sun. The rest of the day the garden is covered with shade. What kind of flower bulbs do I need? But how do you know what flower bulbs are suitable for your garden? There are differences regarding sun exposure. It is difficult to decide how much sun or shade your flowers need. Do they need full sun or full shade? Or something in the middle like partial sun or shade? On our website we mentioned by every flower how much sun exposure it needs. 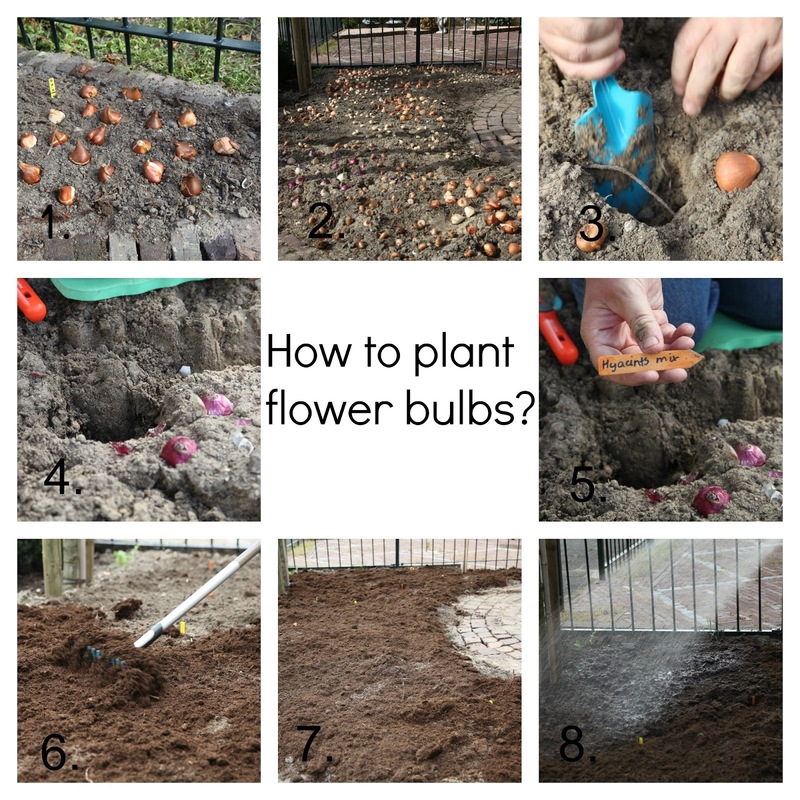 This way you can easily check where to plant your bulbs. You don’t need to follow these directions strictly, there is some flexibility in the exposure. What kind of garden do I have? Not every bulb or garden is the same. That’s why it is difficult to find out what kind of garden you have. Does your garden has a lot of sunhours or has it some shady spots or does it has no sun at all? Try to figure this out, get to know your garden well and it makes gardening easier. 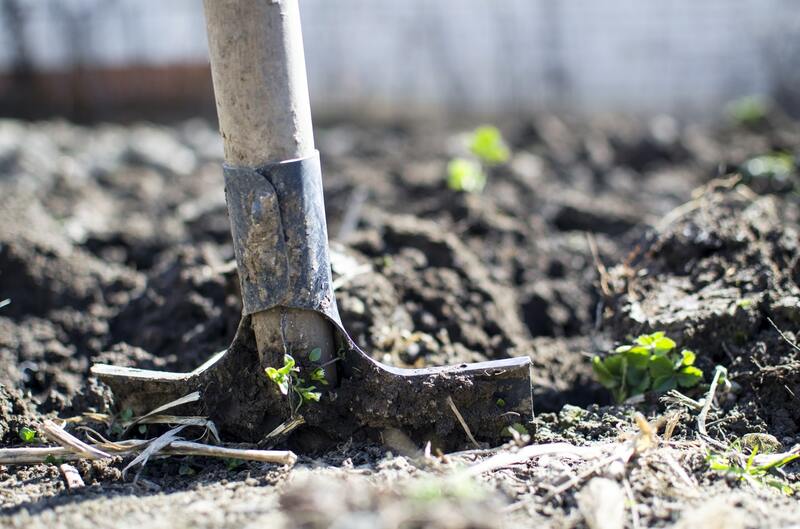 The right gardening tools make gardening so much easier. 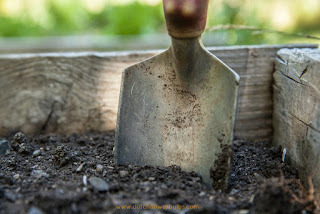 There are certain gardening tools you can use for any gardening activity and are sure worth the money. If you have a fine basis of gardening tools, you can do anything in your garden. But finding the best basics is a job apart, there are so much varieties of tools. Let us help you find the right choices. - Choose the tools which ones are manageable, don’t pick the tools that are too big to handle. If they are too heavy, you risk hurting or might end up injuring yourself. - Stainless steel and coated steel are the most common materials. Stainless steel doesn’t rust, but is pretty pricy. Coated steel is cheaper, but has less quality than stainless steel. Rather choose for quality, because you don’t want to buy tools every year. - Buy tools with colorful tools, this way you can easily find them back. - Purchase a container only for your garden tools. Store this container on a place where you can find it easily back. - Use a garden bag for your tools, this way your tools are protected and the lesser the chance of damage. Plus you can bring this bag everywhere you go and transport it to every spot in your garden. 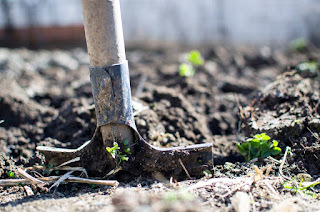 - A spade to loosen the ground or dig, you can choose for a long or short spade. There also exists spades with measurements on the blade so you know how deep you dig the hole. - With a bulbplanter you can dig exact holes for the bulbs, it will give you similar depths. They come in short and long handles. - Gloves are a wise garden item to wear for protecting your hands and also prevent them from getting dirty. - After planting the bulbs water them thorougly, for this it is best to use a hose. Or when you only want to water a particular spot use a watering can. - A rake is optional to buy, you use this tool to spread out the mulch or compost. 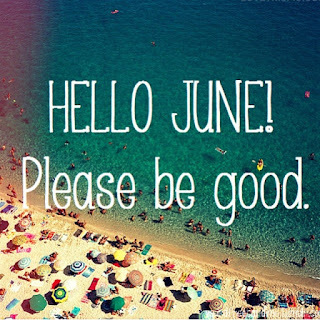 September just started and Fall is coming closer. It is time to order your Fall bulbs! We’ll start shipping Fall bulbs in a few weeks. You can start planting Fall bulbs in September, plant them before the first frost comes in. For the gardening greenies, let us first explain how you can plant Fall bulbs. Firstable, decide where you want to plant all your flowerbulbs. Do you want groups? Or do you want to spread out your bulbs? Do you want the same flowers together or do you want mixed flowers and colors? There is multiple things to think about before you are getting to work. On the packing of the bulbs is described the blooming time and the most suitable lcoation. Check very well where you have to plant your bulbs. Some bulbs are sunlovers and other bulbs might need more shade then sun. Also, not every bulb grows at the same time. Make sure you have season round blooming flowers by planting flowerbulbs with diffferent blooming times. Plant bulbs in every corner of the garden, this way you can bring a pop of color in every corner of the garden. 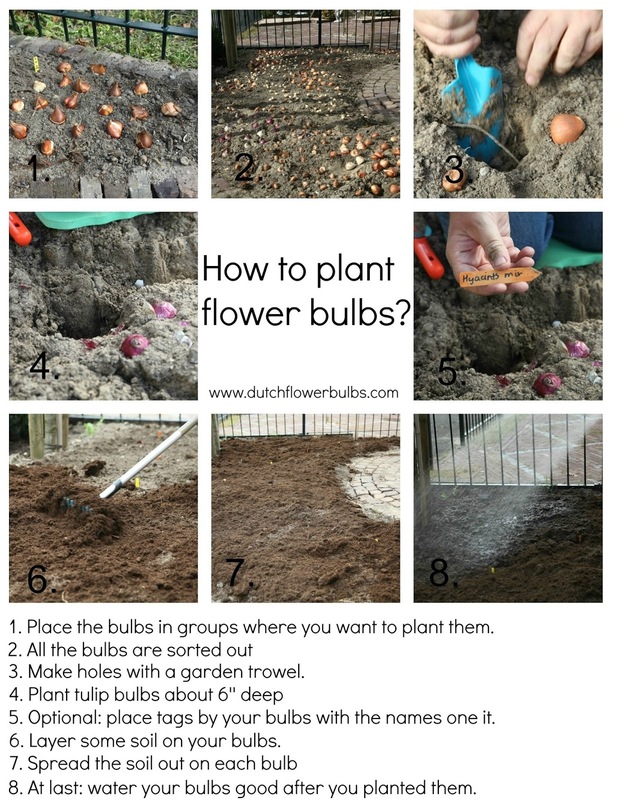 Place the bulbs in groups where you want to plant them and sort all of the bulbs out. Make holes with a garden trowel. Assume always that a bulb needs to be planted 2,5 times deep as itself is. Pointed bulbs should be planted with the tip up, think: daffodils, tulips, hyacinths, gladiolus and crocus. When in doubt what the top is, plant the bulbs on their side. This way the stem will always find his way to the sun. Don’t push the bulbs to hard in the ground, or you might damage the bulb. When your done planting bulbs, cover them up with the soil. At last, water your bulbs good after planting them. All you have to do now is wait and dream of your beautiful garden in Spring! With the heat going on in the country, you probably won’t think about flowerbulbs. But it is already possible to pre-order your Fall bulbs! Did you noticed some gardens always have those beautiful blooming flowers? That is because most Fall bulbs have different blooming periods. This way you can have season round flowers in bloom. A Tulip for example is a flower which comes in different blooming periods and some of them are also called that way. They exist in Single Early Tulips, Double Early Tulips and Single Late Tulips. The Single Early and Double early Tulips are both early bloomers, but the difference is the flowerpetal. 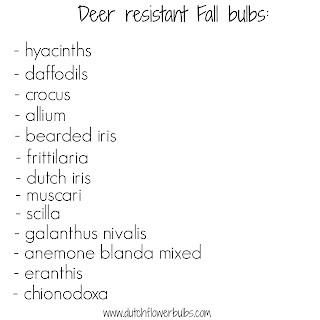 Ofcourse all of the bulbs we offer are blooming in Fall, but they do have different blooming times. We made a list for you with every blooming time of the flower bulbs we sell on our website. This is also described on the website by each flower. Ofcourse this is just an indication. The blooming period can depend on your climate zone or the way you treat the bubs. Plant the bulbs which will bloom the latest first, so this is the deepest layer. Plant the bulbs which will grow mid-season in the middle layer. Then top it off with the early bloomers. If you use this method, you will always have blooming flowers. For a pot or container: use a broken terracotta pot and layer it on the bottom of your container. This way the water will slower flow away. Or when you have a big pot, use the broken terracotta pot on the bottom and you will need less soild for your container. Gardening with a small garden? Some of us don’t have the luck having a big garden, others have a small garden, a city garden or a balcony. With the right adjustments and tips anyone can enjoy their flowers, no matter the amount of space you have. A small garden can be a limitation for the garden lovers, but there are many ways to satisfy your greenside. The best advice is to give the illusion of a bigger garden. You want to make your garden look optic bigger and not smaller. Less is more, so don’t feel the need to use every inch of your garden. Although it may be tempting with so many beautyful flowers. Use mirrors, they are excellent to create the illusion of more space and will instantly double the size of your garden. This works the same for water, it will create dept by reflecting the light and surroundings. Create texture, so use big plants for in the back and smaller plants in the front. With the always expanding cities, oppurtinities for nature is minimized and will leave you with a small garden. The sky’s the limit on air space. 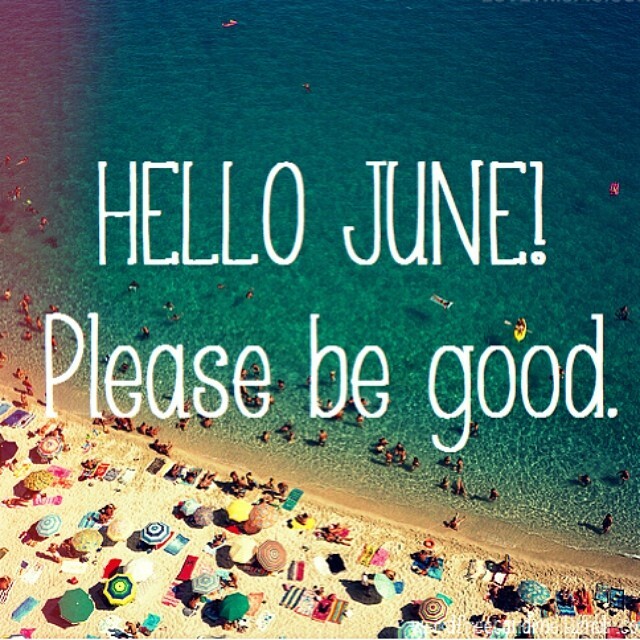 Go up! 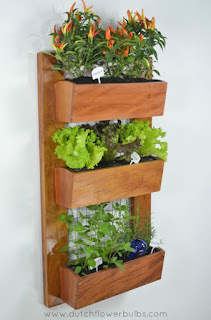 Go vertical gardening. Create green places where space is limited. A vertical garden ‘system’ is hanging against the wall, it is possible to plant veggies, annuals and flowerbulbs. You can also use hanging baskets. The downside of vertical gardening is the wind and sun exposure. Water and fertilize your ‘system’ frequently. Another reason for container gardening, besides a lack of space in your garden, is because of the soil can be bad in some areas. You can also chose beautiful containers with all kinds of decorations, there are lots of designs. Plus, no more weeding! Usa a container or pot with a good drainage, otherwise the bulbs will rot away. Don’t have a garden at all? There are many ways to garden with a balcony, just be creative. Find out what the sunhours are and the sunniest spots on your balcony. Then find out what kind of flowers are sunlovers and which one yould be placed in a shady spot. You can use hangingbaskets, but there are also special containers for over your balcony frame. Find a container or pot with a good drainage. 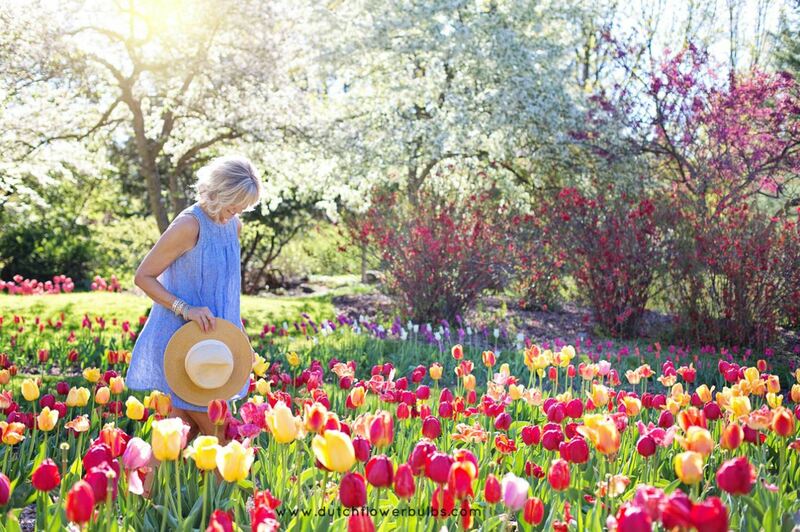 Have you ever seen those gorgeous fields of flowerbulbs? Most of them in the prettiest colors, even in mixed colors? What if we told you that you can do that also at home in your own garden? Follow these tips below for that beautiful effect. Before you’re going to plant any bulbs, make sure you make a plan. Describe where you want to plant your bulbs, what kind of bulbs you want to use and make colorgroups. So write down the colors you want to mix, plus the name of the flowerbulb. This way you can check the name of the flowerbulbs when everything is in bloom. It is best to plant your Fall bulbs in Fall, they come up in Spring or Summer. Assume always that flower bulbs need to be planted twice as deep as itself is. On the packaging of the bulb is the flowering time described, the most suitable location and planting depth. Choose a spot where you want to plant your bulbs, dig a hole and place your bulbs in the hole. Don’t push the bulbs to hard in the ground, be careful. It depends on the size of the bulb how close you can plant the bulbs next to each other. Cover it up with dirt or mulch and water it. The fun part of combining colors is that you can do whatever you want. The color palette is endless. Every colormix is good, because you mix the colors the way you want. You can mix and match colors from the same bulb, but you can also mix and match colors ánd bulbs. We like to mix everything, check our Social Media for some examples and we hope we can you inspire you to also combine colors. With reference to our last newsletter where we did make reference to Punxsutawney Phil’s forecast, there were for sure 6 weeks more of winter. While the Midwest and central USA this past weekend were hit by snow and cold weather, the South is battling with tornadoes. So at the moment the most asked questing is; my Spring bulbs are covered with snow what can I do to protect them? The answer is; do not touch the plants or try to protect them, this will cause more harm the bulbs can handle during the cold. 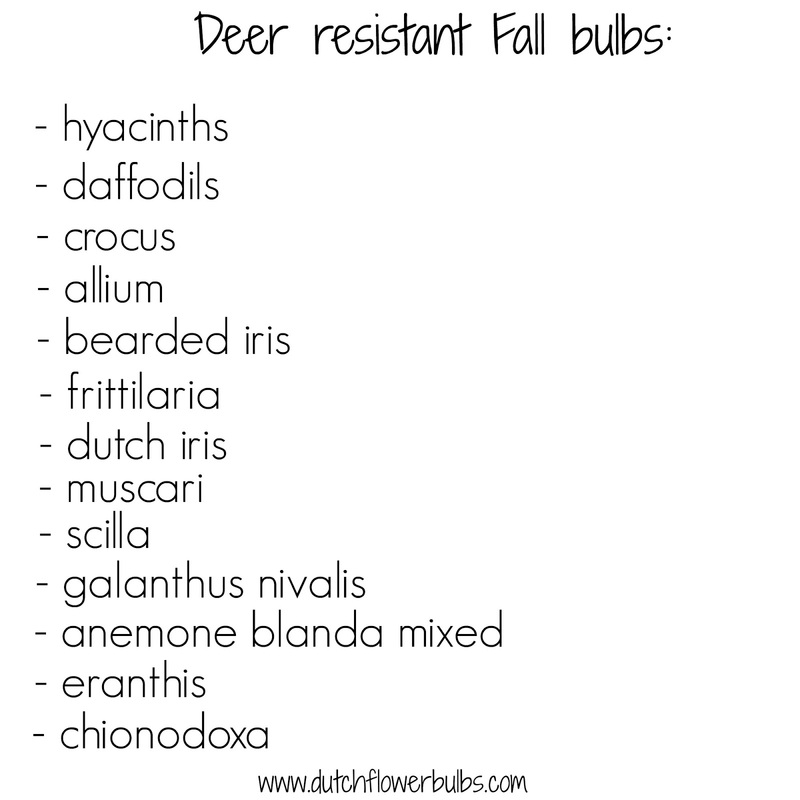 Also this is the time we can expect the deer to eat the Tulips and other bulbs in their search for food, we can keep them away by applying Deer Off. Spray as soon the bulbs are emerging, re-apply this everytime when there is more growth or it has been raining lately. For planting Liliums the cold is no problem. For Dahlia’s and other tender bulbs we do recommend that you start planting those bulbs and tubers around the last frost date, which will be listed at the local news paper. 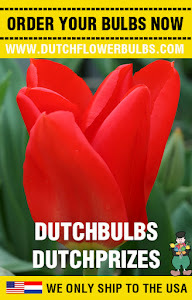 At Dutchflowerbulbs.com we do have our Fall planting bulbs program ready for ordering and shipping in the Fall! Pre-order your Spring bulbs now! Plant them immediately after you received them. Don't have time to plant your bulbs? Store them in a cool and dark place until you are placing them in the ground. But it is best to plant them right away after you received them!